Properties in Carnoustie Station average 4.7 out of 5 stars. Luxury Stone Cottage at The Brake, St Andrews. Property 4: Luxury Stone Cottage at The Brake, St Andrews. 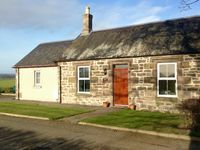 Lovely country bungalow in rural setting near St Andrews. Ideal for golfers. Property 17: Lovely country bungalow in rural setting near St Andrews. Ideal for golfers. The Steading Cottage St Andrews Affordable Luxury Self Catering Accommodation. 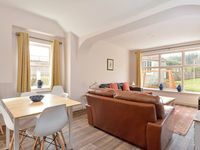 Property 18: The Steading Cottage St Andrews Affordable Luxury Self Catering Accommodation. Tastefully refurbished Cottage c1762 in village 1/2 mile to award winning beach. Property 19: Tastefully refurbished Cottage c1762 in village 1/2 mile to award winning beach. Detached Renovated Cottage in woodland location. Property 25: Detached Renovated Cottage in woodland location. Beautiful open plan cottage in the heart of woodlands close to beach and golf. Property 29: Beautiful open plan cottage in the heart of woodlands close to beach and golf. Property 33: Carters Cottage is a 200 year old fully refurbished stone built weavers cottage. An Idyllic country cottage with uninterrupted views over the River Tay. Property 38: An Idyllic country cottage with uninterrupted views over the River Tay. Eppie Cottage was very nice and peaceful/tranquil, clean, very homey and the host family was very friendly and attentive to any questions or needs we had. Great central location to drive to many sights in any direction. We stayed at Kittocks Cottage for a wedding in St. Andrews. The cottage was warm, spacious and comfortable for 5 adults. Everything was as advertised and it was a nice quiet retreat at the end of each day. Absolutely recommend.